For further information please visit www.cirium.com/smarterway and follow Cirium updates via LinkedIn, Twitter and YouTube. 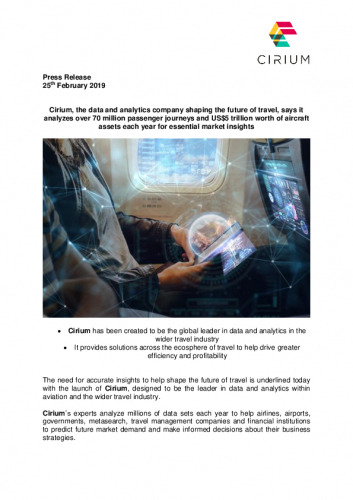 Cirium brings together powerful data and analytics to keep the world in motion. 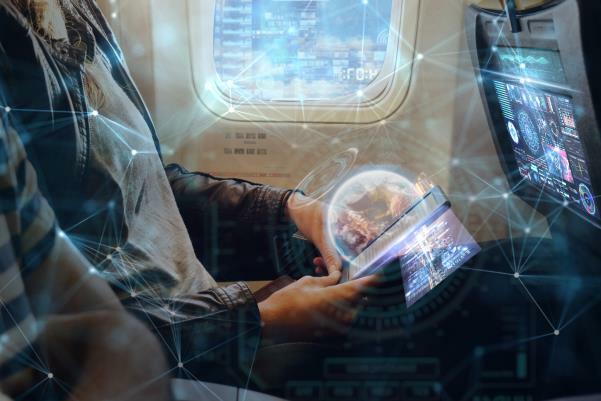 Delivering insight, built from decades of experience in the sector, enabling travel companies, aircraft manufacturers, airports, airlines and financial institutions, among others, to make logical and informed decisions which shape the future of travel, growing revenues and enhancing customer experiences. Cirium is part of RELX PLC, a global provider of information-based analytics and decision tools for professional and business customers. RELX PLC shares are traded on the London, Amsterdam and New York Stock Exchanges using the following ticker symbols: London: REL; Amsterdam: REN; New York: RELX.